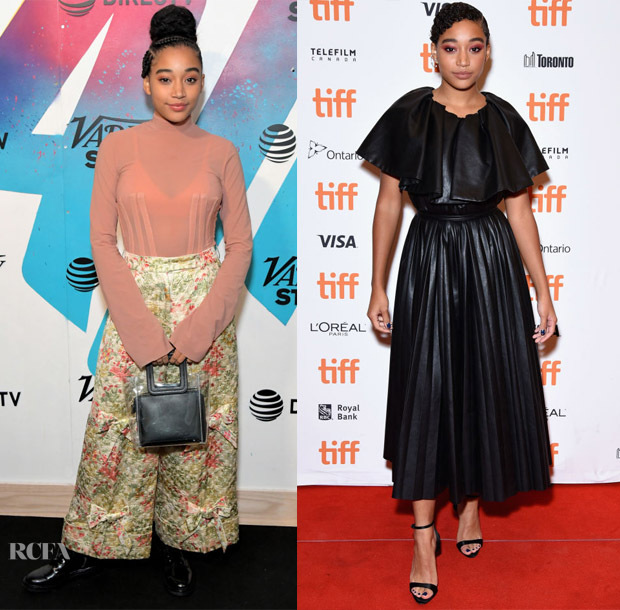 I have to say that I am starting to really look forward to Amandla Stenberg’s every style move, which change so fast you can barely keep up. Her recent two looks at the 2018 Toronto International Film Festival on Saturday (September 9) are par for the course — meaning, completely different than each other and from any previous look. 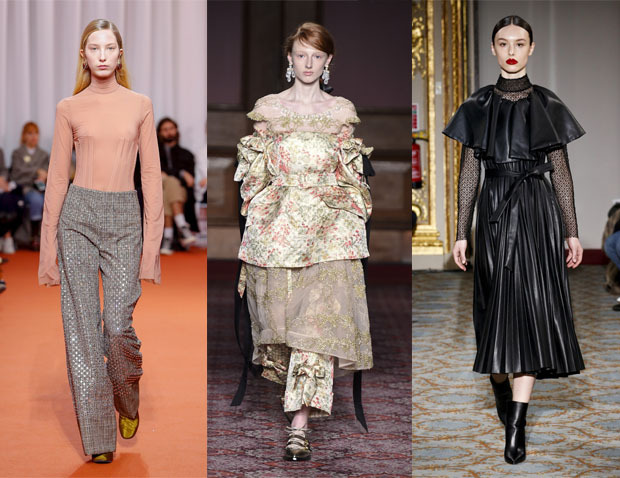 ‘Where Hands Touch’ Party: She took a certain Victorian mood with these Simone Rocha Fall 2018 bow-accented trousers — except she made the look her own by styling them with a sheer Ellery Pre-Fall 2018 top. I can’t say it’s a favourite of mine, as it strikes me as a bit drab — even on her. ‘Where Hands Touch’ Premiere: Now, this Huishan Zhang Fall 2018 feminine-edgy leather frock was more like it. She made the dress a more free-spirited version of itself by removing the sheer undershirt and styling it with Giuseppe Zanotti sandals. I’m not normally a fan of reddish eye makeup. But, she made it work here.